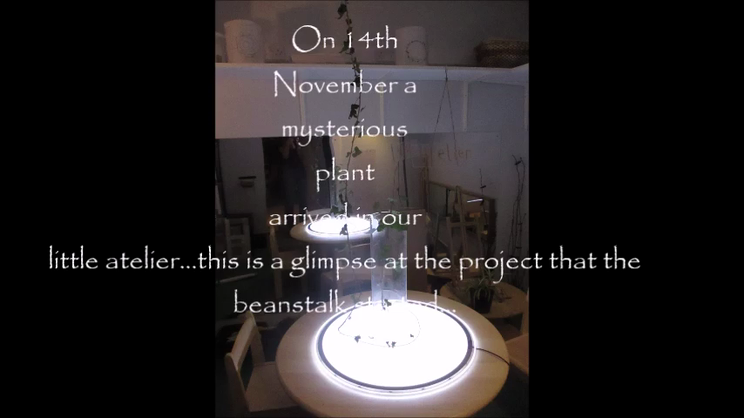 A glimpse of the early stages of The Evolving Beanstalk project. In November 2016 a mysterious vine appeared in our Little Atelier - Hanging from the roof, roots exposed… The children’s discovery of this simple provocation was the start of a wonderful project. The beanstalk has evolved over the course of the days that have followed – as have the children’s ideas and creations. Jesse was keen to share his discover with his friends. The children spoke of Jack and the Beanstalk. Aliyah recounting the story with great precision. Clay worms were made to surround the roots of the beanstalk as presents for Jack. The children considered good giants, mean giants, angry giants (that could be appeased with television!). Hannah took inspiration from the wooden rainbow she found on our shelves creating a rainbow giant. Rainbows led to pots of gold. Treasure for the beanstalk and gifts for the giant. Hannah told the story on the light panel building a tower from small plastic cups. Rainbow shooters were created from bright ribbon to show how the good giant could defeat the bad. Their minds seemed to be whirling with possibilities, theories and stories. Their creations reflected their beautiful imaginations showing skill and precision, speed and spontaneity. After a week in the little atelier the beanstalk grew out into The Studio. Considering what should happen next the children were determined that the beanstalk should grow. It needed to be bigger. Talk of how this could be achieved led the children to add soil, water, light, plant food and a battery in a bid to increase the plants size. Magically, overnight, the vine grew, spreading across our ceiling – to the delight of the children the following day. Provoked by projections and sounds of the rainforest onto and beyond the beanstalk, attention turned to wildlife of the jungle. 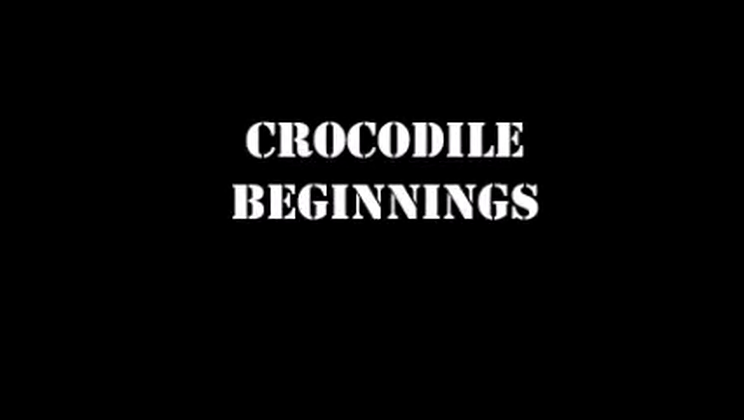 The crocodile was created. Drawings were made and research undertaken. How many teeth should our crocodile have? Will it have a brain? Could we see what it has had for tea in it’s tummy? What colour should it be?